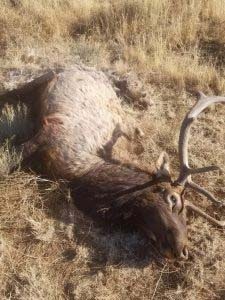 WILLIAMS – The Arizona Game and Fish Department is investigating the poaching of a bull elk, which occurred on Sunday morning, Dec. 17. The elk was shot and left to waste in Game Management Unit 10 along U.S. Forest Service road 6, south of Martin Draw northwest of Williams. 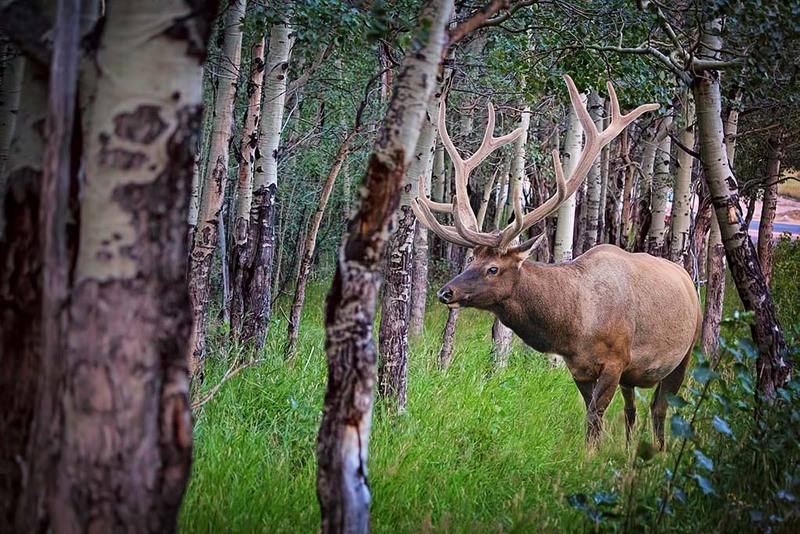 There was not a lawful bull elk season going on at the time and the elk was shot with a large caliber rifle behind the shoulder. Investigating officers are seeking information to locate two individuals last seen wearing orange hats that may have left the scene in a low-profile Nissan Titan pickup truck accented with chrome. Anyone with information about the case can call the Department’s Operation Game Thief Hotline toll-free at (800) 352-0700 or use the online form at www.azgfd.gov/ogt. Callers should provide case number 17-004934 and may remain anonymous upon request, and all identities will be kept confidential. A reward of up to $1,500 is being offered in this case for information leading to the arrest of the violator(s). To learn more about Operation Game Thief, visit www.azgfd.gov/ogt.